Harper Collins wanted to promote ‘There’s a Snake In My School’, the latest book from bestselling children’s author David Walliams, in front of primary school students aged 7-11. We distributed activity sheets across 250 primary schools nationally to be handed out to students aged 7-11. They featured a colouring sheet and competition to win £100 of book tokens to engage students with the story and characters. 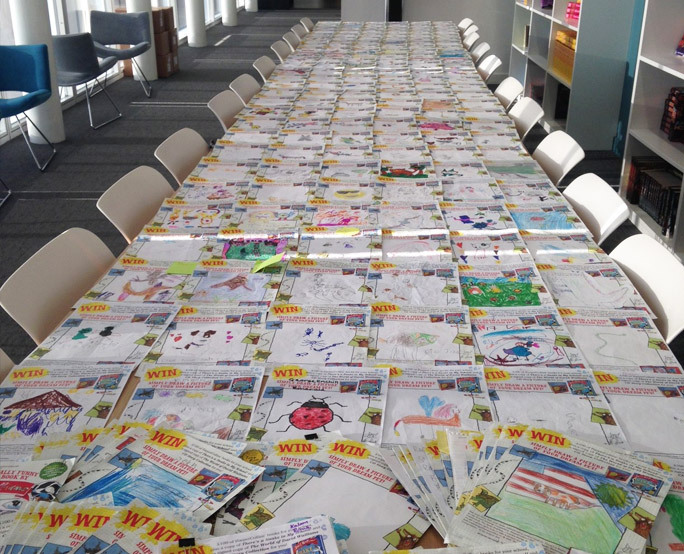 Harper Collins received hundreds entries for the drawing competition. For the third year running, female hygiene brand Femfresh aimed to reach active women at the point of use in a discreet way to promote and drive trial of their wipes. Ambient media allowed Femfresh to reach women in gym and leisure centre changing rooms. Locker and shower vinyls delivered communication at a relevant time and samples with a money off coupon encouraged trial and future purchase of the product. 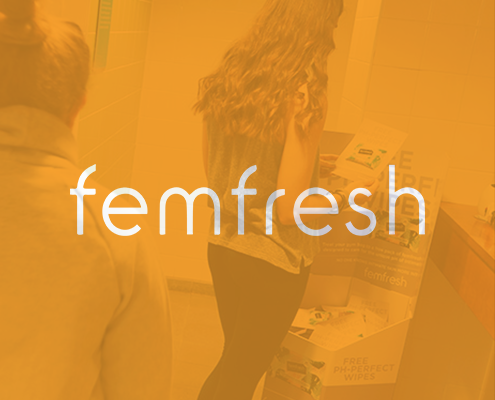 Throughout the campaign, Femfresh were able to reach 1.7 million women in a personal and contextually relevant way. 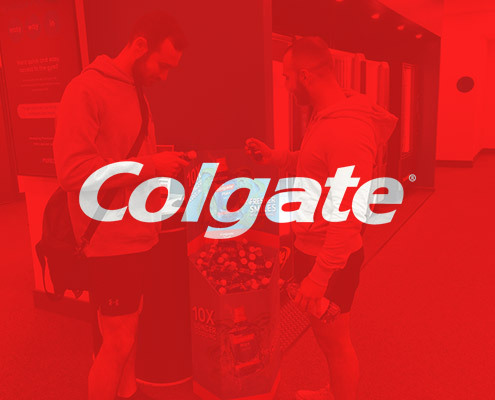 Colgate wanted to increase sales of their cool mint mouthwash, by reaching appearance centric and health conscious people. 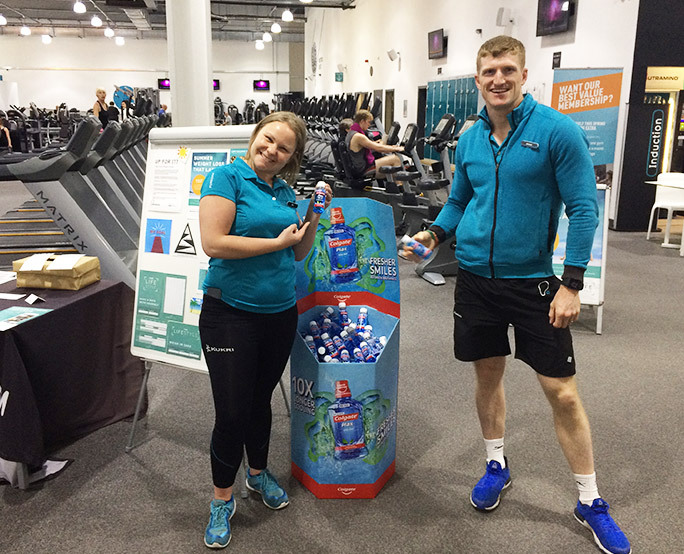 We distributed 200,000 samples across 200 gyms positioned in a branded dispenser by the changing room at the point of use, ensuring the product was delivered to their target audience at a contextually relevant time. 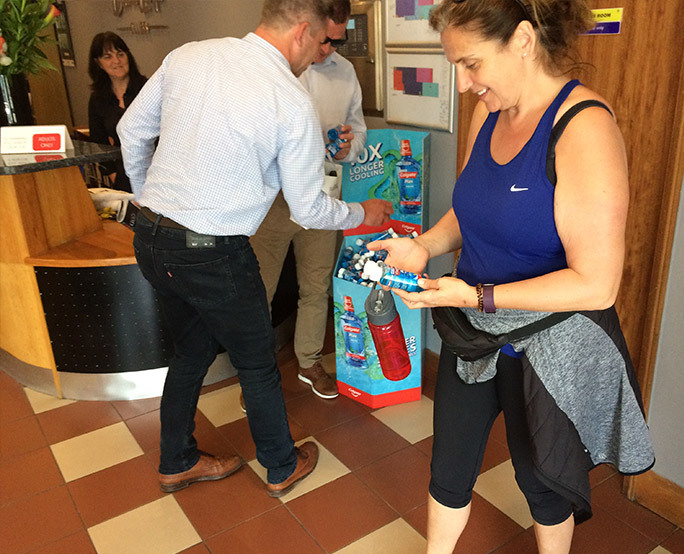 The campaign was hugely popular – “I have never seen a more popular product sampled in our gym, they ran out in 3 days”. 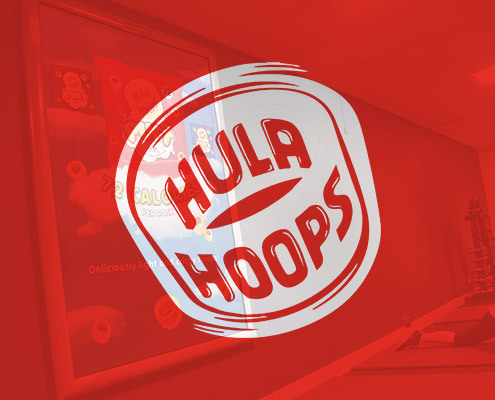 Hula Hoops wanted to reach a health conscious audience, who still like to snack to promote their low calorie ‘Puft’ crisps in a relevant environment. 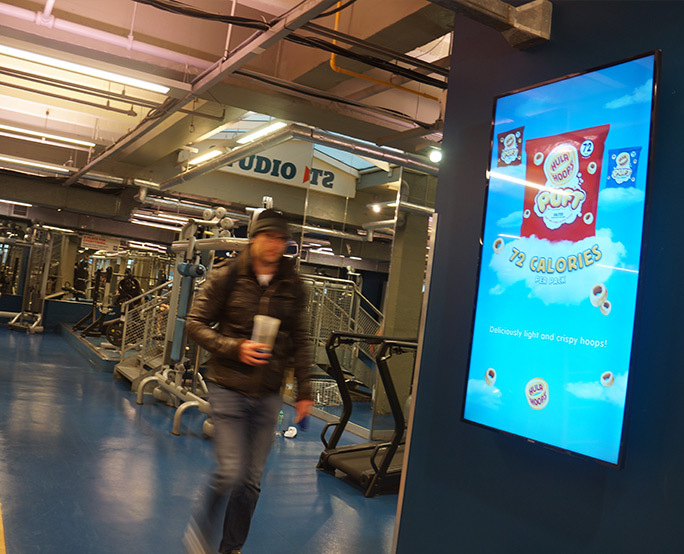 Knowing that 60% of people who go to a gym regularly eat on the go, they ran both digital and static 6-sheets across health clubs and leisure centres, with eye-catching, colourful creative. 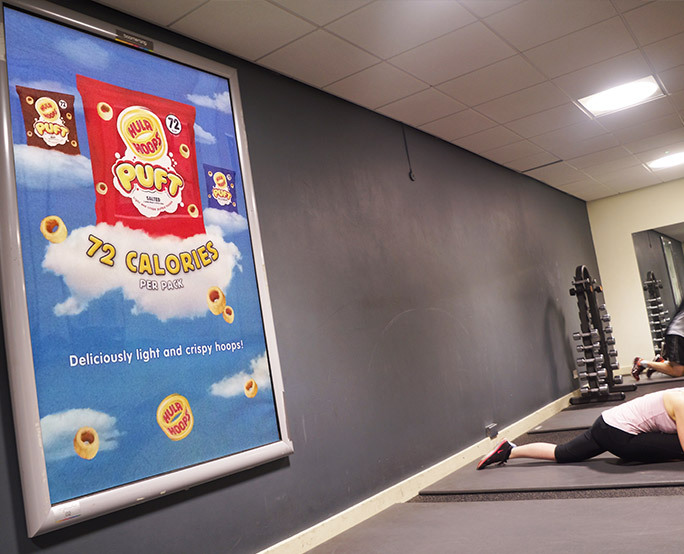 The campaign grabbed the attention of 2.7m gym members whilst their health and well-being is front of mind.